AFTER two months of establishment, the Swaziland National Committee on Irrigation and Drainage (SWANCID) has drafted its own constitution which was presented to stakeholders yesterday by a steering committee at the Royal Villas. The constitution, which is still a draft, was subject to strong debate and discussion yesterday as stakeholders openly registered their concerns with certain provisions, one of which lies in its objectives. “Nowhere in the objectives do we hear anything about the committee stimulating economic growth and yet in our country, agriculture is all about stimulating economic growth,” said a concerned stakeholder, whose point was acknowledged by members of the steering committee. Apart from the objectives, another stakeholder felt that SWANCID should not be referred to as a committee but rather an organisation. “The word committee makes this sound as if it is a small body of seven people,” he complained. 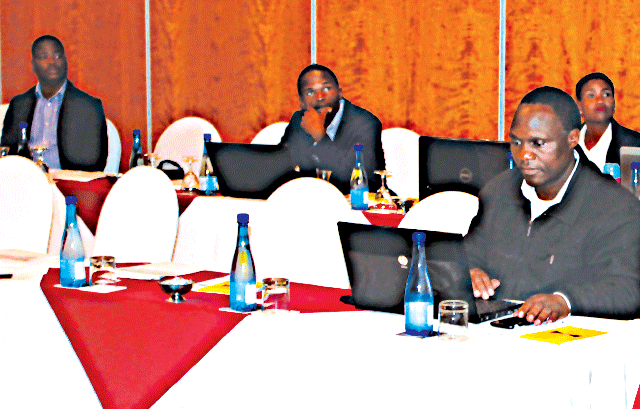 The constitution was presented by Malkerns Research Station’s Cinisani Tfwala who was also part of the drafting team. Apart from certain clauses within the draft constitution, most stakeholders strongly felt the need of the establishment of the Committee’s logo. SWANCID came into existence after it was realised that the Kingdom of Eswatini was one of a few countries which did not have a body specifically dedicated for coordination of land and water management issues as well as proper utilisation of irrigation and drainage facilities. This is despite the existence of the Southern African Irrigation Association and the International Commission on Irrigation and Drainage (ICID), two acclaimed bodies which deal with national committees to provide technical assistance amongst many other functions. It was against this backdrop that SWANCID was established. The initiative’s founding members include the ministry of agriculture, ministry of natural resources and energy, University of Swaziland, Swaziland Water and Agricultural Development Enterprise (SWADE) and the Swaziland Sugar Association (SSA). Membership is, however, open to other organisations and individuals. Tfwala explained that apart from managing land and water management issues, the Committee will also look into coordinating activities such as research. “For a long time we had people duplicating each other’s research simply because they did not know that a similar study had been conducted. The committee will coordinate such issues as well,” he explained. SWANCID was established as a scientific, technical, professional, and voluntary not-for-profit, semi-governmental national organisation.